LONDON. The heart of England. The Capital City. The Old Smoke. I was lucky enough to be offered a 2-week work placement with Hearst, working alongside Country Living Magazine. From being there Monday-Friday for 10 days, I have definitely learnt a lot. 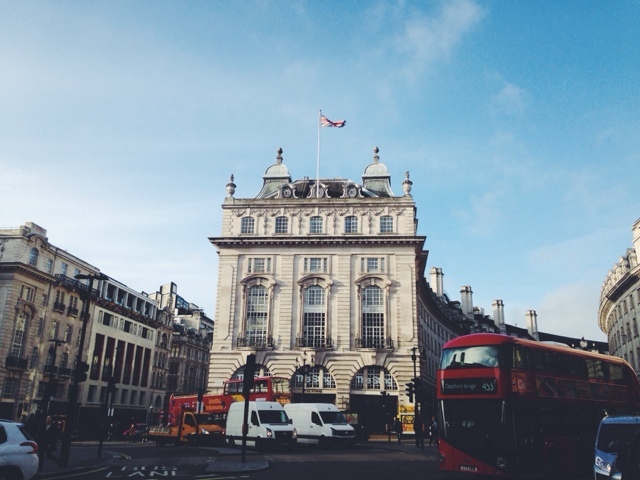 Here are my 10 things you’ll learn when you go to London. 1) Be ready to feel like you are in a box of crayons on the tube. Whether it is 8am, 1pm, 3pm, 10pm - Tube trains are always busy and especially peak times they were be rammed. Travel through the tube stations safe, keep an eye on your belongings and remember if you want to stand on escalator, stand to the right and if you are in a hurry, then walk on the left hand side. Make sure you take a lot of funds with you, even if it is for a bottle of water. If you are on work experience like I did for 2 weeks, the company should refund your expenses up to a certain amount. However, before you get the money back - make sure you do have enough money with you. No one wants to pay £2.05 for a bottle of water but you know - LONDON. 4) You will definitely see more iPhones than you would in an Apple shop. Blackberry? That's old school. You might as well get an iPhone just to stay on trend. EVERYONE has one in London. 5) Be cautious of Train schedule signs. One sign will say it is on time, the other will say it is delayed. This happened to me on about 2 occasions, if it doubt ask a member of staff at the train station. Signs are NEVER reliable. 6) If your train platform changes, be ready to run a marathon. People will run like maniacs just to get on the train first. To be honest, we all do it. You just have to run and think "I'm getting a seat, whether my life depends on it or not!" 7) Always keep different belongings in separate places, so some in your bag and some in your coat. I leant this from my family. There ALOT of people in London and with it being busy, it is very likely you will get your belongings taken. Keep them in separate places and well hidden. 8) You will queue for an hour, just for a latte. When it has taken you 2 hours just to get to London before 9am, all you can think of is "I NEED ALL THE COFFEE!" and you don't care if the queue is ridiculously long either. 9) Slow walkers will annoy you 100 TIMES as much. I live in quite a small town so when the public are walking in front of me really slow, you can deal with it. In London, OH HELL NO - MOVE GIRL/GUY, GET OUT THE WAY! 10) Most importantly, be organised before you travel. If you are planning a trip to London anytime soon, be organised. Know exactly where you have to go and how you are going to get there. Are you going by car/train/bus? Do you need to get the tube? Which stop to you need to get on and off at? Do I have an Oyster Card? Do I have enough money on my Oyster Card? - There are so many things you have to consider. My next blog post is going to be a checklist / useful websites when taking a trip to London. What else should people know before they go to London?